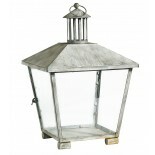 This beautiful Lantern Stand looks stunning, inside the home or outside in the garden. 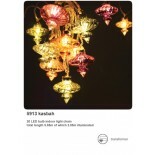 You can hang lanterns, fairy lights, ornaments and any other decorations that you can think of from it, to make your indoor or outdoor space magical. 165cm high. We recommend keeping your Lantern Stand indoors overnight or in damp weather.